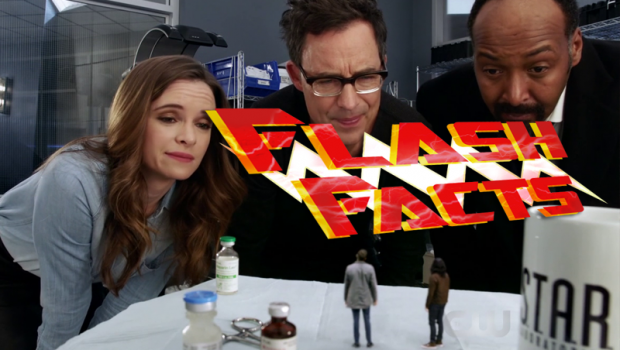 I can’t even tell what the main plot is supposed to be since this episode split’s the time between Team Flash dealing with Dwarfstar, Cecile developing telepathy out of nowhere and Barry and Dave’s prison stuff. I know the title implies that Dwarfstar is the story that matters but it gets the least development. For those who might not know, Sylbert Rundine aka Dwarfstar is a mass-murdering cannibal sociopath with technology comparable to Ray Palmer’s and a penchant for poetry. In the comics, at least. Here? Just some goon who steals by shrinking. 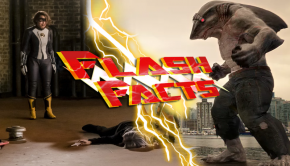 That is the majority of his personality and despite an initially cool encounter with Team Flash, the rest of that plot is toilet jokes and dodgy green screen shenanigans until they ultimately triumph. Except they don’t, since Rundine doesn’t confess to the murder that Barry’s pal Dave was convicted for. Which is leads me to my favourite part of this episode, every scene with Bill Goldberg is brilliant. I’m so enamoured with his acting chops I wish his role could go on longer. Unfortunately it can’t, because despite Rundine’s refusal to provide a confession, Barry puts himself out by springing Dave and running him all the way to the Chinese monastery that Dave had desired to travel to. Good ending, yay! Swerve! Bad ending! 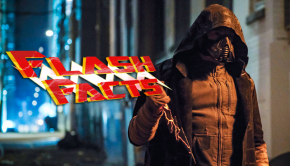 Warden Wolfe reveals he planted another camera outside Barry’s cell that captures him using his speed, thus outing himself as The Flash and Wolfe turns heel, drugging Barry and calling Amunet Black to offer to sell another metahuman to her. I knew we couldn’t trust Jubal Early! The other plot involves Cecile thoroughly abusing her new-found telepathy (which is barely explained away as a gestational diabetes analogy) and how that’s messing with Joe. It’s barely character development as it’s ground the show has covered before and Cecile being a meta is just a dumb idea. 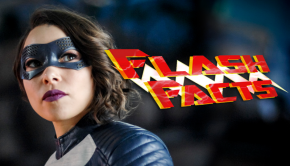 In a quick round-up of the other CW shows so far; Black Lightning continues to be awesome, Supergirl had a full-on Lexosuit which was cool and last week’s Arrow was booooring. 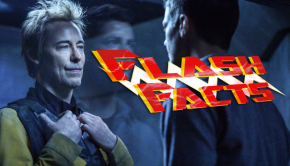 Overall, not that impressed with The Flash this week but there was a couple good gags and an interesting set-up for the next episode so maybe things will be better when we see everyone’s True Colors.